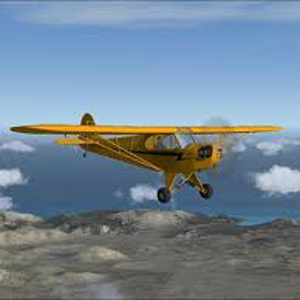 As a bush pilot of a small aircraft you must take off with as much cargo and as many passengers as you safely can, while avoiding terrain and obstacles. Earn points by pushing your aircraft to it’s limit. The more you carry, the worse your aircraft will perform! 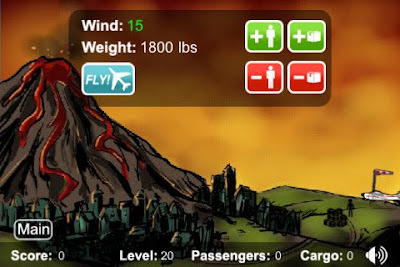 How many passengers and how much cargo can you successfully take off with, and still outclimb obstacles and terrain? 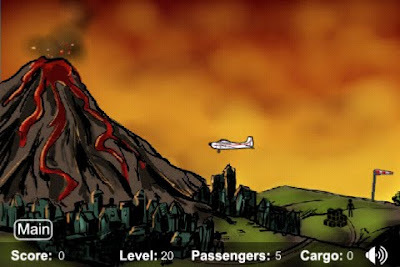 This game applies the real-world laws of aviation to a variety of challenging scenarios. 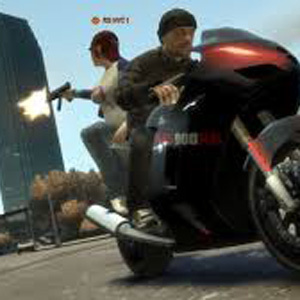 Earn points by daring yourself to carry as much as you safely can. As in the real world of flying, a headwind can be your ally. Wind reduces the speed at which you travel over ground, but it does not affect climb speed, so a strong headwind can provide pilots with a steep climb angle. This entry was posted in iphone games on September 17, 2010 by admin. Our first iPhone app is now available in the iTunes app store. This entry was posted in airport madness mobile, iphone games, videos on April 24, 2010 by admin. After months of work, Airport Madness Mobile has hit the iPhone App Store! A huge thank-you to everyone who has supported my efforts with their words of encouragement and by purchasing my products. Please give this iPhone game a try and leave it an honest review. As there are several air traffic control games with very similar names, please be cautious of which one you are buying. 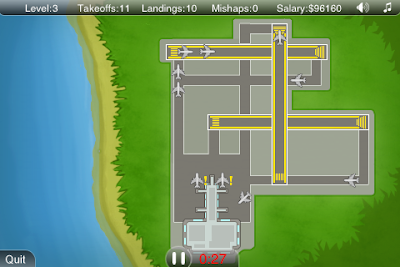 Our iPhone app is called “Airport Madness Mobile“. As an air traffic controller it is your job is to keep aircraft from colliding, while avoiding unnecessary delays. You are paid the big bucks for your visualization skills and guts. Just like the real job of an air traffic controller, you must pay attention and keep your eyes moving. There is always something that you could be doing! 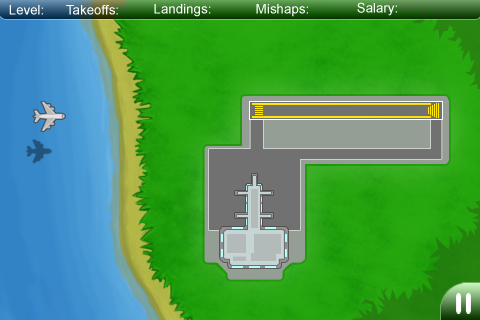 You must give takeoff clearances, landing clearances and taxi clearances in a strategic effort to maintain safety and efficiency where there would otherwise be total chaos. This is not a spectator’s sport! 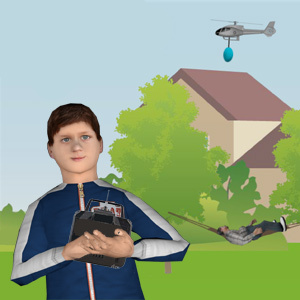 After successful completion of all 14 levels of this simulation you will become an expert at visualization and managing priorities. This simulation contains 7 different challenging airport layouts. You will be required to work at night, and occasionally in poor weather conditions. 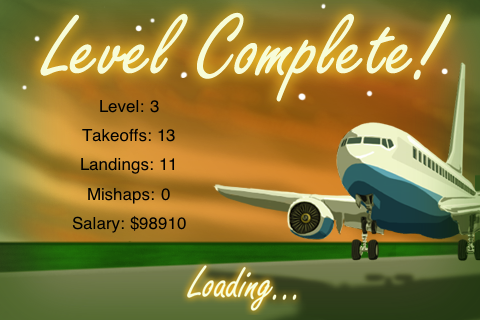 Knowledge of air traffic control is not required to be a top-notch air traffic controller in Airport Madness Mobile, but you do require nerves of steel. This entry was posted in airport madness mobile, iphone games on April 22, 2010 by admin. 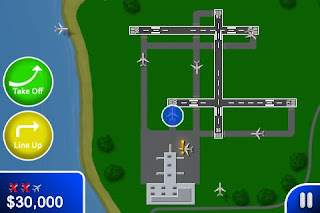 We are pleased to announce that Airport Madness Mobile has been submitted to the iPhone App Store and should be available by April 23, 2010. 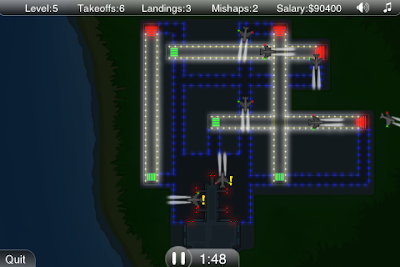 It promises to offer the iPhone community a truly addictive air traffic control game. 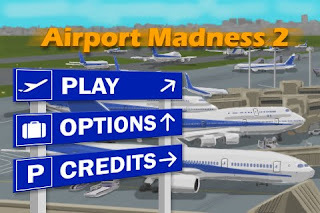 Unfortunately we could not secure the name “Airport Madness” as it has been taken, so please be aware of which one you are buying on the App Store. There will be an announcement here, as well as in the newsletter (sign up above) as soon as this app becomes available. 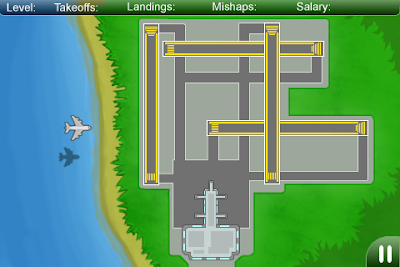 This entry was posted in airport madness mobile, iphone games on April 9, 2010 by admin. 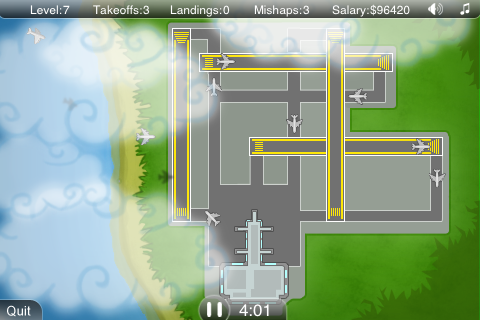 At first glance it seemed like porting Airport Madness 2 over to the iPhone would be relatively straightforward. Of couse, the challenges are embracing the advantages and minimizing the disadvantages of a small screen and a touch-based platform. Another challenge will be naming this iPhone application. 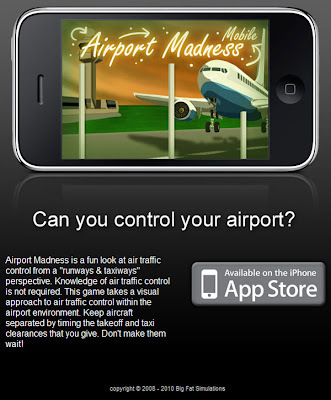 Unfortunately the name ‘Airport Madness’ exists in the app store already. 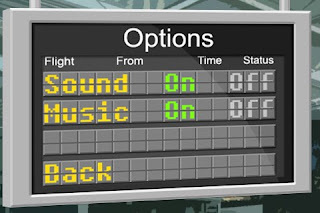 Naming overlaps do frequently occur on the web, but we will strive to find something unique yet familiar to fans of the Airport Madness series. 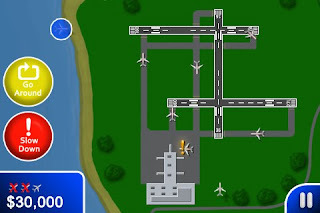 This entry was posted in Airport Madness 2, iphone games on March 6, 2010 by admin.